Cash for Junk Cars in NJ. Free Towing & Get Paid in 24-48 hours! 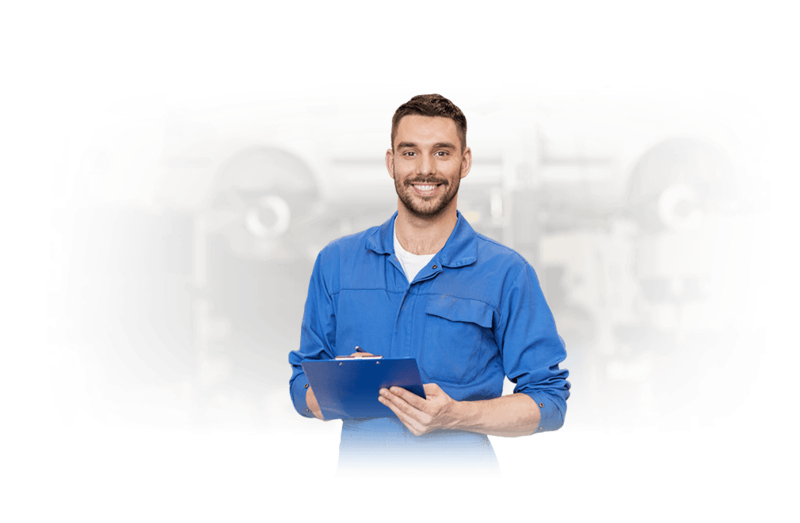 Sell your junk car in New Jersey in 24-48 hours! We tow from your home or office for free, and give you a fair market offer for your damaged car. Enter your zip code below to get started. Hey New Jersey, what do you do when you have a damaged car? Or, a wrecked car? Or, a junk car? What do you do when you’re thinking to yourself “I need to sell my car fast”? With potholes everywhere, freezing winters, New Yorkers escaping the city for the weekend in rental cars, pedestrians, traffic on 95 and other drivers, New Jersey can be hard on a vehicle. 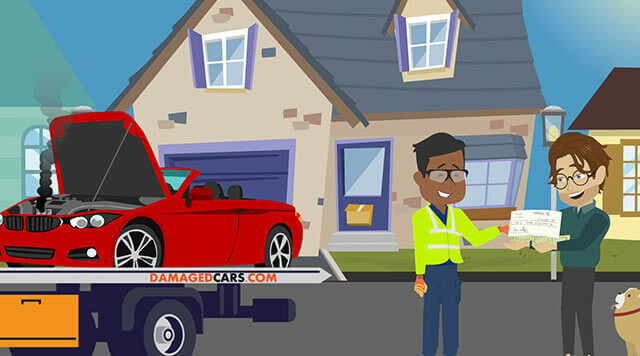 It doesn’t matter if you’ve been in an accident, have a wrecked car, blown motor, slipping transmission, or just have a car nearing the end of its days, DamagedCars.com can help. We buy junk cars in NJ so you can sell a junk car for cash fast (well, actually you get a check). It doesn’t matter if you’re in Newark, Princeton, Mahwah, Hoboken, Weehawken, Morristown, Cherry Hill, Camden, Edison or Chester, DamagedCars.com will buy your damaged, salvage or broken-down car, fast any where in New Jersey. The process is quick and easy. We’ll pick up your clunker for free and pay you on the spot. 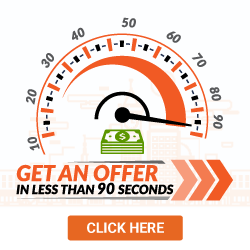 Get your guaranteed offer for your car now. We’ll even work with you on what to do after an accident to get you the best offer for your car. Because repair isn’t always the best option, sell your car to DamagedCars.com, where we buy cars in a less-than-perfect condition in the Garden State. If you have an unwanted car, damaged car or scrap car and want to sell a junk car for cash in NJ, then get your offer now. Looking for Junk Yards in New Jersey? There are hundreds of local junk yards in all over New Jersey. If you’ve ever searched online for ‘junk yards in NJ’ or ‘cash for cars NJ’ you are in the right place to junk your car for cash. Instead of hauling your junk car to a scrap yard for a few bucks, let us help you get more for your unused, unwanted, or ‘less-than-perfect’ car. A junk yard in New Jersey may charge you to haul your clunker away or pay you a pittance for your vehicle. There’s a better way, and that’s DamagedCars.com. When you want to sell your car for cash, we’re the best option there is. After buying a car in New Jersey, you’ll need to register the vehicle. That will likely require getting your car emissions tested if your car was made after 1995. It’s good to know what that requires. Thankfully, we’re here to help. Its multiple urban centers and the volume of commuter and visitor traffic statewide can make emissions control imperative for the Garden State. Cars registered in the state must be inspected and undergo an emissions test every other year, with a few listed exceptions. Cars that were manufactured prior to 1995 are generally exempt from this requirement. Want to Sell Your Car in New Jersey? Our team of professional and courteous buyers will work with you to sell your car, fast. We buy cars throughout the United States. We will pick up your junk car for free and pay you on the spot. At DamagedCars.com, we buy cars in less-than-perfect condition, nationwide. Every state has unique requirements for transferring a title. When selling a junk car for cash, New Jersey is no exception. When transferring a title, accuracy is essential. New Jersey titles require the seller to sign the back of the title on the left side in the section marked “SELLER’S SIGNATURE”. Anyone listed as “Owner” on the front of the title must sign as “Seller” using the same name shown on the title. Only the “Owner” can sell a vehicle, and the state of New Jersey requires a title for the sale of any car, truck or SUV. So, if you don’t have the vehicle title before you sell your car, you need to make your way to the nearest New Jersey Motor Vehicle Commission office for a duplicate title. 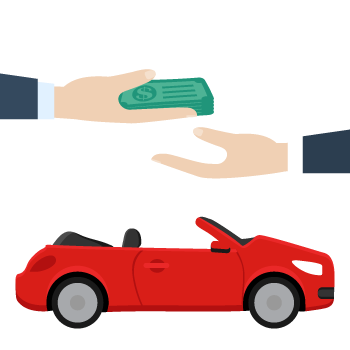 The most important part of selling a car, apart from getting paid, is transferring ownership. To do so in New Jersey, you need to visit any New Jersey Motor Vehicle Commission office. To make sure you transfer the documents properly and avoid penalties, here are the steps to follow for a personal vehicle. Remove the plates and give them back to any MVC Office, unless the plates are being transferred to another vehicle that you own. To avoid a $25 penalty, the title must be transferred within 10 business days from the date of sale. Sign the back of the title and add your driver license number. What to bring to the MVC Office to title and register a vehicle that was purchased through various methods. § The title properly filled out. § A registration application (BA-49) from an MVC Office. § A power of attorney (POA) if someone other than the buyer is signing the documents on behalf of the buyer. 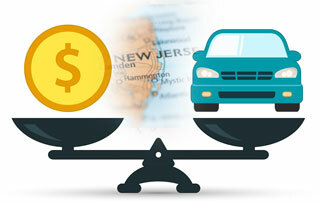 § Proof of New Jersey car insurance. $60 for a standard vehicle. $85 for a vehicle with one lien. $110 for a vehicle with two liens. § Sales tax (Call 609-984-6206 for help calculating sales tax). § If needed, Lien holder’s information and payoff statement (Form: OS/SS-85c Financing Statement). § If the buyer is a company, a corporation code and a Federal Tax ID number (EIN) (www.state.nj.us/mvcbiz/pdf/Vehicles/BA-8.pdf). § If needed, dealer reassignment documents. § A Purchase order if there isn’t a New Jersey Dealer Tax Stamp on the title. § A pencil tracing or printed photo of the vehicle identification number (VIN). Click here for help finding your VIN. § The latest registration document showing that the vehicle was registered and owned by the seller in the state of sale. § Certificate of Ownership (form SS-7). § The current title with a sales tax stamp, if the sales tax has been paid. § If the car doesn’t have a title, bring the last previously issued registration document and bill of sale. § Dealer reassignment documents, if applicable. § If needed, additional power of attorney (POA) if someone other than the buyer is signing the documents on behalf of the buyer. § If the buyer is a company or business a corporation (corp) code and a Federal Tax ID number (EIN#) are needed; www.state.nj.us/mvcbiz/pdf/Vehicles/BA-8.pdf. You must provide an accurate odometer reading at the time of sale to show whether it has passed its mechanical limitations and is on a second or third cycle. If the actual odometer reading is inaccurate, the seller must give an estimate of what the actual reading should be. Get paid for your salvage vehicle or scrap car in New Jersey today! If you have a non-running car you can get money for it in 24-48 hours! Our free towing shows up and you get paid, it's that easy. Get your offer now to find out how much your junk car is worth.